Home Gambler's Corner "Casino in the Swamp"? Politics boils down to three Latin words: Quid pro quo. There is this hint of that in some maneuvers involving pension reform and allowing casinos in northern New Jersey. Meaning, you (the north) support pension reform, and we (the south) support your casino. I think. Maybe a casino in the Meadowlands. 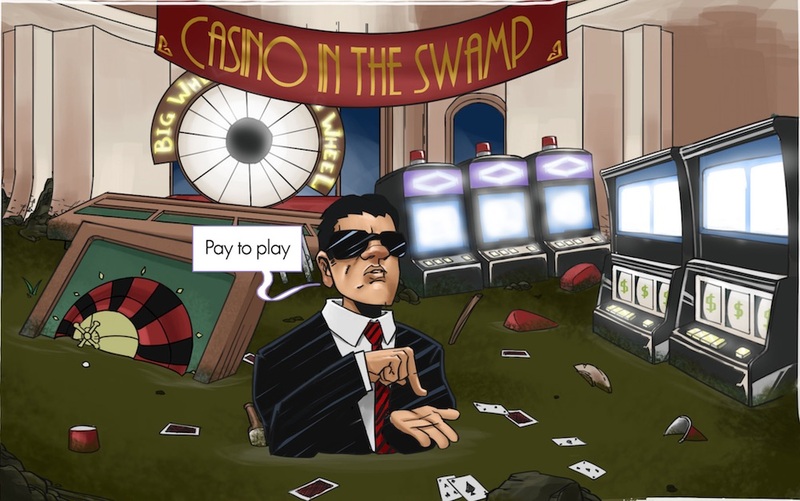 Maybe we can call that, Casino-in-the-Swamp? This would be great for northern New Jersey residents. Why? Let’s count the ways. 2. Same reason, we are sick of the Atlantic City jitney. We prefer the Bergenline Avenue smoke machines that can take us up to Fort Lee. It’s easier to get the Early Bird Special near the Bridge, too. More winning. 3. We need to keep things local. Our freedom-restricted class needs to be able to, uhhhh, stimulate the economy locally. Why should the ladies of the night have to go to Exit 38 on the Parkway, when they can come up here? ‘Cuz hookers gotta hook! And it’s tough being a working girl these days.